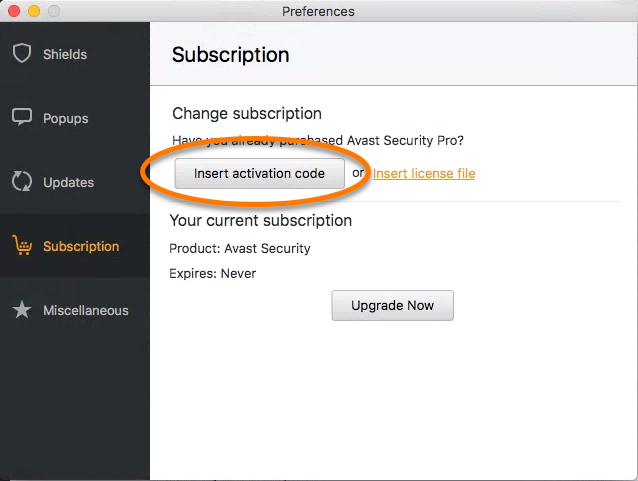 When you purchase Avast Security Pro, your product should be activated automatically. 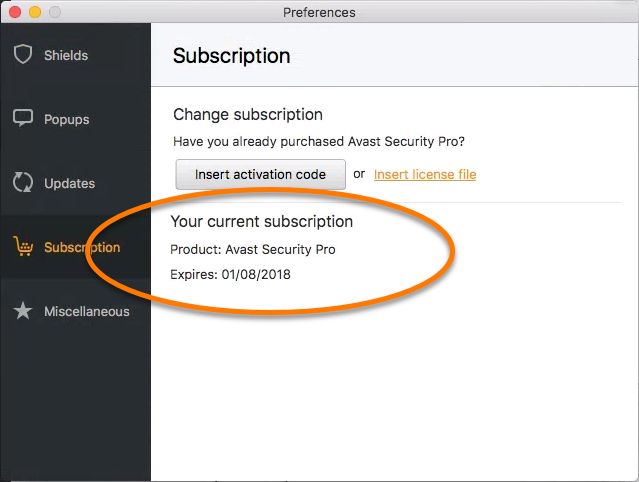 In some cases, you may need to manually activate Avast Security Pro using a valid activation code (sometimes called a subscription code or voucher code). 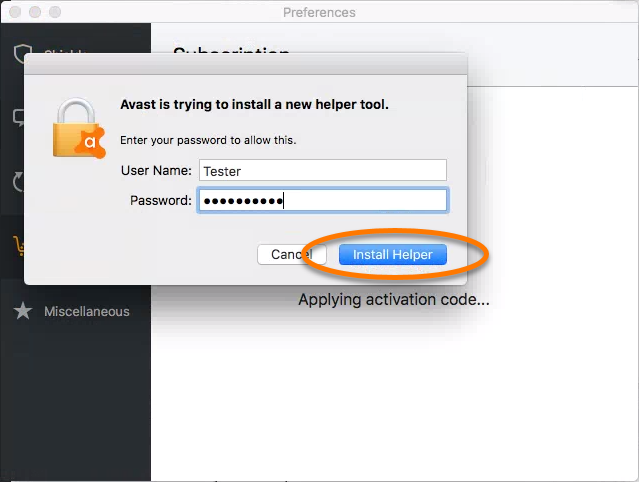 Click the Avast Menu bar icon and select Open Avast from the context menu. Click Preferences, then click Subscription. 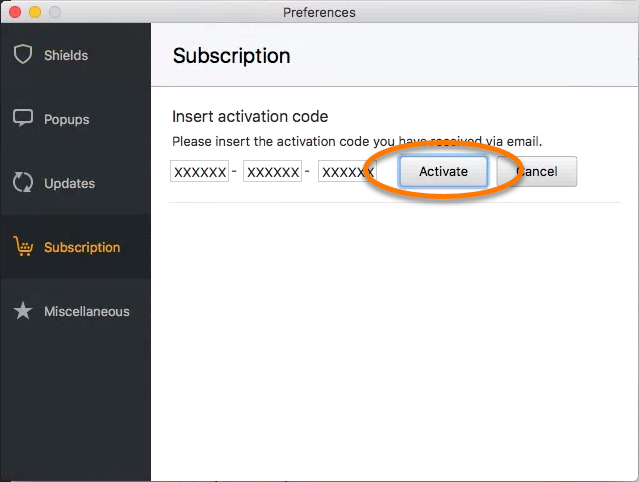 On the Subscription screen, click Insert activation code. Type or paste your activation code into the text boxes, then click Activate. Enter your administrator credentials, then click Install Helper. 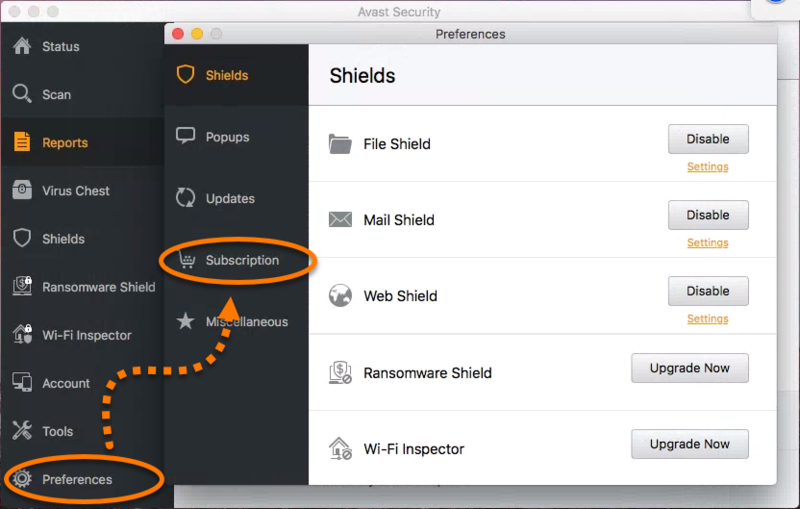 Your Avast Security Pro subscription is now activated. The expiration date of your subscription appears under Your current subscription.